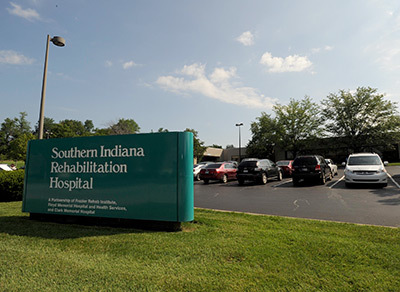 NASHVILLE, Tenn., June 28, 2018 /PRNewswire/ — MedEquities Realty Trust, Inc. (NYSE: MRT) announced that it has acquired Southern Indiana Rehabilitation Hospital, a 60-bed inpatient rehabilitation facility (IRF) located in the Louisville, Kentucky suburb of New Albany, Indiana, for $23.4 million. The Company concurrently executed a 15-year triple-net lease of the IRF with Vibra Rehabilitation Hospital of Southern Indiana, LLC, an affiliate of Vibra Healthcare, LLC (“Vibra”), at an initial lease rate of 9.0% with annual escalators. Vibra will convert the 26 beds currently in use as skilled nursing in order to operate the entire 64,380 square-foot facility as an IRF, which is the original design of the facility. MedEquities Realty Trust (NYSE: MRT) is a self-managed and self-administered real estate investment trust that invests in a diversified mix of healthcare properties and healthcare-related real estate debt investments. The Company’s management team has extensive industry experience in acquiring, owning, developing, financing, operating, leasing and monetizing many types of healthcare properties and portfolios. MedEquities’ strategy is to become an integral capital partner with high-quality and growth-oriented facility-based providers of healthcare services on a nationwide basis, primarily through net-leased real estate investment. For more information, please visit www.medequities.com. This press release contains forward-looking statements within the meaning of the U.S. federal securities laws. Forward-looking statements provide our current expectations or forecasts of future events and are not statements of historical fact. Words such as “anticipates,” “expects,” “intends,” “plans,” “believes,” “seeks,” “estimates,” “will” and variations of these words and other similar expressions are intended to identify forward-looking statements. These statements are not guarantees of future performance and are subject to risks, uncertainties and other factors, some of which are beyond our control, are difficult to predict and/or could cause actual results to differ materially from those expressed or forecasted in the forward-looking statements. Forward-looking statements involve inherent uncertainty and may ultimately prove to be incorrect or false. For a description of factors that may cause the Company’s actual results or performance to differ from its forward-looking statements, see the sections entitled “Management’s Discussion and Analysis of Financial Condition and Results of Operations” and “Risk Factors” included in the Company’s most recent Annual Report on Form 10-K filed with the Securities and Exchange Commission (the “SEC”), and other documents filed by the Company with the SEC. You are cautioned to not place undue reliance on forward-looking statements. Except as otherwise may be required by law, we undertake no obligation to update or revise forward-looking statements to reflect changed assumptions, the occurrence of unanticipated events or actual operating results. 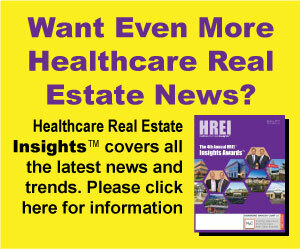 SOURCE MedEquities Realty Trust, Inc.